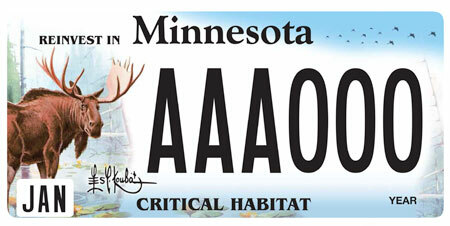 The Minnesota Department of Natural Resources (DNR) will release a new specialty plate this fall and it's asking the public to design it. Entries will be accepted from Monday, May 2, until 4 p.m. Friday, May 6. A panel of judges will evaluate entries based on criteria such as creativity, quality, representation of Minnesota state parks and trails and suitability as a license plate image. Three finalists will be put up for an online vote. The new license plates, which provide free entry to all of the state’s parks and recreation areas, are expected to be available in October. The cost of the new plates will start at $60, plus tax. This total includes a one-time $10 fee for the plate itself and a minimum $50 contribution (renewable annually). Entry forms and contest rules are available on the state parks plate design contest page. For more information, contact the DNR Information Center at info.dnr@state.mn.us or 1-888-646-6367 between 8 a.m. and 4:30 p.m. weekdays.